Ice Skating has become part of an Irish Christmas. 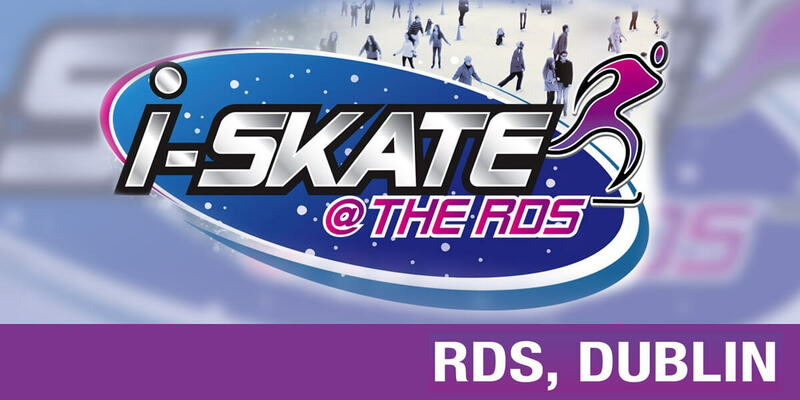 iSkate-on-Ice was introduced to the RDS in 2012 with huge success. iSkate-on-Ice is now located in Ring 4 at the RDS. Covering an area of 1000 Sq. metres. iSkate-on-Ice presented to you by Funderland – is Ireland’s only OUTDOOR ice skating rink –offering an unrivalled ice skating experience. For Junior skaters, iSkate provides a kiddie rink for children from age 3 upwards with its balancing aids and double-bladed skates. iSkate will provide the ultimate outdoor ice skating experience this Christmas season. Ice Skates are included in the price and you are welcome to bring your own skates if you prefer. The Ice Rink can operate in almost all weather conditions. The Rink at the RDS is outdoor and skating sessions may be subject to cancellation due to inclement weather. In the unlikely event that the Duty Manager deems it necessary to close the ice rink we can offer either a refund or an alternative session for skating – subject to availability.